Mrs. Sharon Hill-Hunter came to St. Paul fifteen years ago from Altgeld Elementary School and St. Stephen’s Lutheran Church. 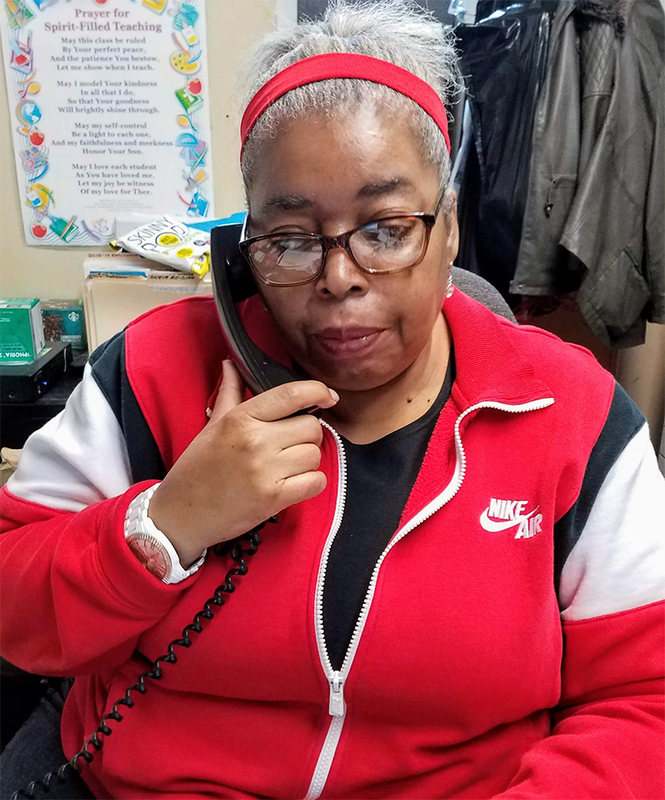 She began in the classroom as a Pre-K and Kindergarten teacher before coming into the office as an administrative assistant. She is also the director of the school choir, the Christmas and Easter programs, and the praise dancers. Her hobbies include singing, styling hair, teaching Bible classes and writing plays. She is married with six children and ten grandchildren. Her favorite thing about St. Paul is sharing the Word of God with all who enter.